People who like meat! I thought I would write about a way to eat delicious meat in Japan, on the cheap. How are you guys preparing your regular, everyday meats? For example, do you tenderise it by pounding/beating it, many times over? A ‘beating’ spree, of sorts!! On this occasion, I tried tenderising meat by soaking it in cola. 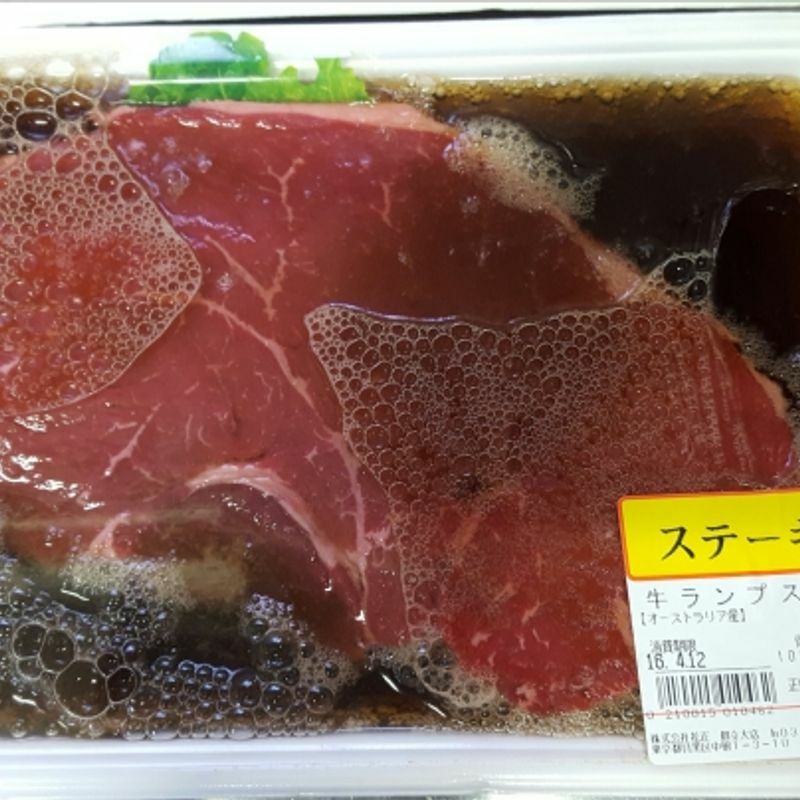 The meat here is a rump steak (ランプステーキ) weighing in a 480g and costing 1,046 yen. This is very reasonable, for Japan. I bought it from a supermarket called 肉のハナマサ / niku no hanamasa. Steak is expensive in Japan. Ordering a 480g steak at a restaurant might cost between 5,000 - 7,000 yen. At a ‘nice’ restaurant, that could be over 12,000 yen. Expensive, right? Personally, I think it’s too expensive. So, I’ve been looking into cheaper ways to prepare and cook meat, at home. One idea that came out, was to soak it in cola. Why cola? Well, because it’s cheap (one bottle over here can cost 98 yen). I’ve also read that you can use things like pineapple (パイナップル) and onion (玉ねぎ). So, what happens when you soak a steak in cola? I recommend soaking your meat in cola for around 20 mins. Then, drain off any remaining cola, wash the steak in cold water, and then wipe away any drops. 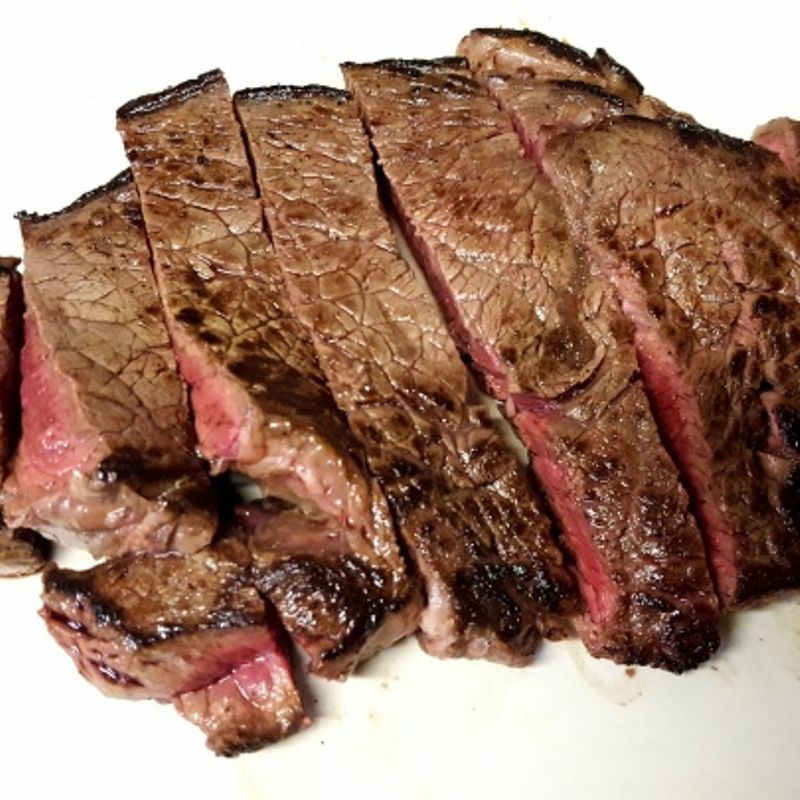 Throw your steak into a well heated frying pan and listen to it go wild! When the streak has lightly burned on one side, turn it over and simmer on a light heat for around 5 mins. 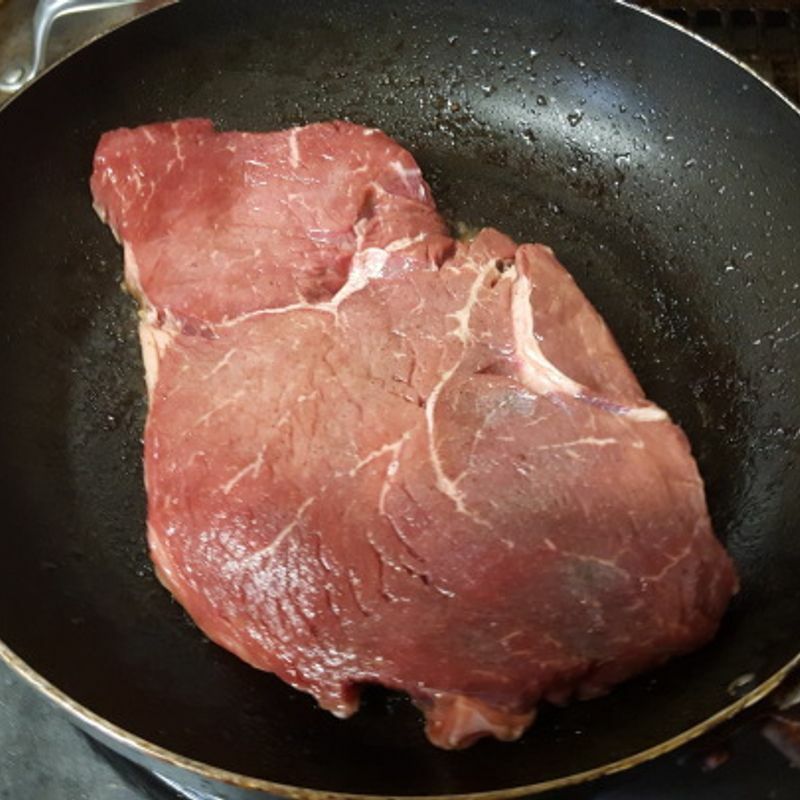 After this, turn off the stove/burner and let the steak sit in the pan for a short while, allowing the remaining heat to penetrate the inside of the steak. Then take it out and cut. So, how is it? Looks perfect to me! From the way meat handles, you can tell how soft and tender it is. If you’re worried about the cola? Well, you can’t taste it! 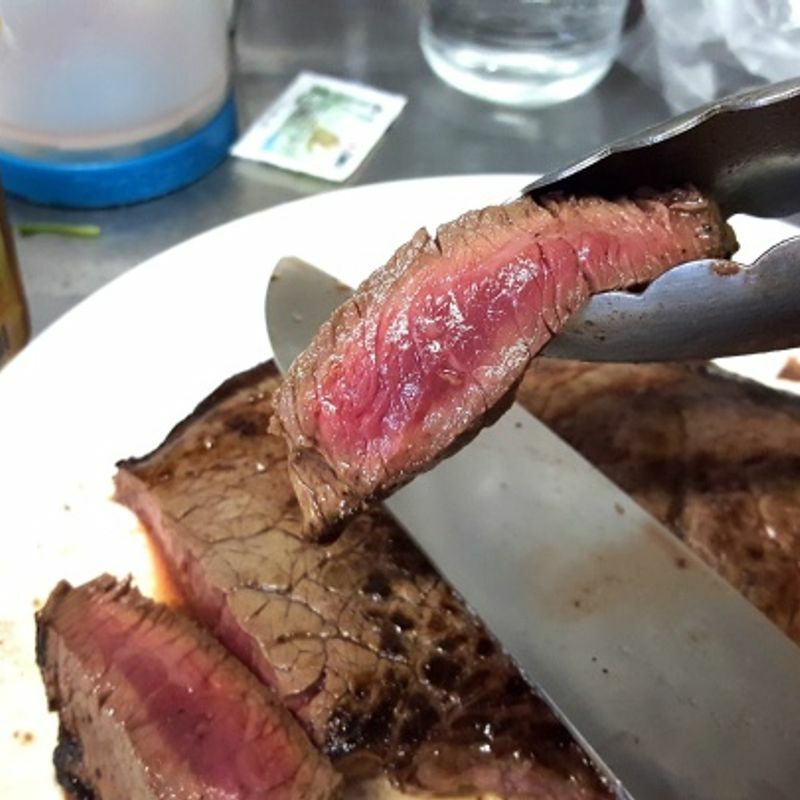 Ultimately, you can go to an unfamiliar restaurant and pay 1,200 yen in Japan for a tough 200g steak, or with a little effort you can fill your stomach to satisfaction with 480g, 1,046 yen steak. Personally, I absolutely choose the latter. Hi guys ;) I like to do training. wanna share information about training and my daily life in Japan. 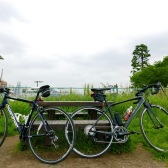 High Tech Bicycle Parking in Tokyo.